The higher you climb, the further you see. Rock climbing is an incomparable challenge. It takes every muscle in your body to propel you upward. There’s no time for distraction, no room for your mind to wander. Once at the top, the view is unbelievable and the sense of accomplishment is exhilarating! 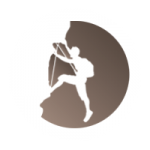 Upon request we may organize climbing lessons and excursions for small groups and individuals. Climbing is not suitable for people with limited mobility. We do not provide climbing shoes. Bring wit you also hat, sunscreen, snack, water.